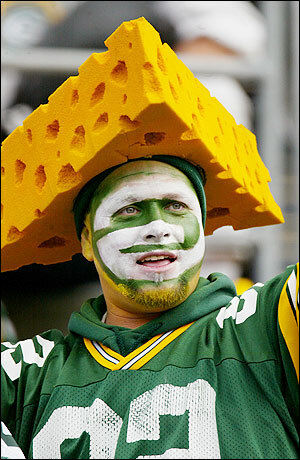 Wisconsin — home to the Green Bay Packers and their cheesehead fans, different varieties of beer, and countless solid Midwestern burghers of Germanic lineage — has a long and storied tradition of political ferment and dissent. With the bizarre happenings in Madison over the past month or so, Wisconsin is living up to its rich political and cultural reputation. Three weeks ago, Wisconsin Senate Democrats fled the state, hoping that last-ditch tactic would prevent a quorum and therefore a vote on a bill to change collective bargaining rules for government employees. They believed their procedural “Hail Mary” — coupled with constant protests by teacher and public employee unions and union supporters in the Wisconsin state capitol — would exert pressure on Governor Scott Walker and Republicans who supported the bill. The Republicans held firm, however, and the parties were at an impasse. Now the Republicans have made the Democrats pay for their high-risk tactic. Yesterday, while the Democrat Senators remained out-of-state, Republicans stripped the collective bargaining bill of the budgeting provisions that presented the quorum problems and then passed it through the Wisconsin Senate. Because they chose to absent themselves from the state, no Democrats were present for the final vote or to raise objections to the procedure. The bill now goes to the state assembly. In the meantime, protesters flooded, once again, into the Wisconsin state capitol. In the linked article, the leader of Wisconsin Senate Democrats accuses Republicans of showing “disrespect for the people of Wisconsin” and conspiring to “take government away from the people.” We’ll have to see whether that spin has any resonance with Wisconsin voters — but it is hard to see how Republicans who stayed on the job in the face of public protest, waited for weeks for petulant Democrats to return to the governmental process, and then enacted legislation in a public forum in the Democrats’ absence, showed more “disrespect for the people of Wisconsin” than the Democrats who tried to take their ball and go home.